One glance at Taylor and Jake and it is evident that they seem to share a juicy secret about just how good true love really is. The most unlikely of couples in college at University of Miami with Taylor the hipster and Jake the perennial party boy that “wore too much neon,” Taylor + Jake have evolved into the perfect adult pair. Jake’s wedding gift to Taylor was a trip to Paris. Taylor’s career as a pastry chef has made Paris a dream vacation destination for them both. Talk about a romantic gesture! When I first sat down with Taylor and Jake to talk about their wedding they indicated that they wanted more of a dinner party vibe, the “Anti-cookie cutter” wedding if you will. Taylor’s career as a pastry chef for the world-renowned chef Jean Georges and Jake’s self-admitted passion for food made it a natural choice to start their search for a wedding venue based on locations that pride themselves on their food and beverage service. 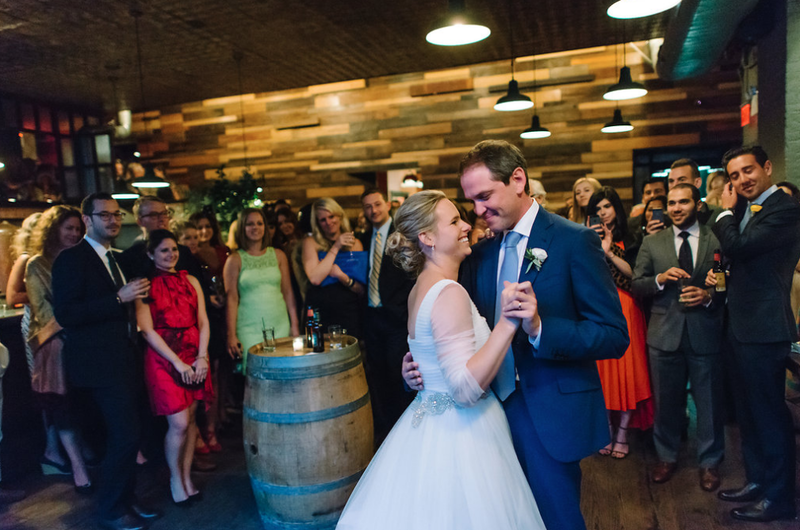 After visiting a few traditional Manhattan venues Taylor and Jake were sold on the unique decor and stellar menu at Brooklyn Winery. Jake insisted on having “First Look” photos before walking down the aisle because he knew he would cry like a baby when he saw Taylor. And cry, he did (happy tears, of course!) 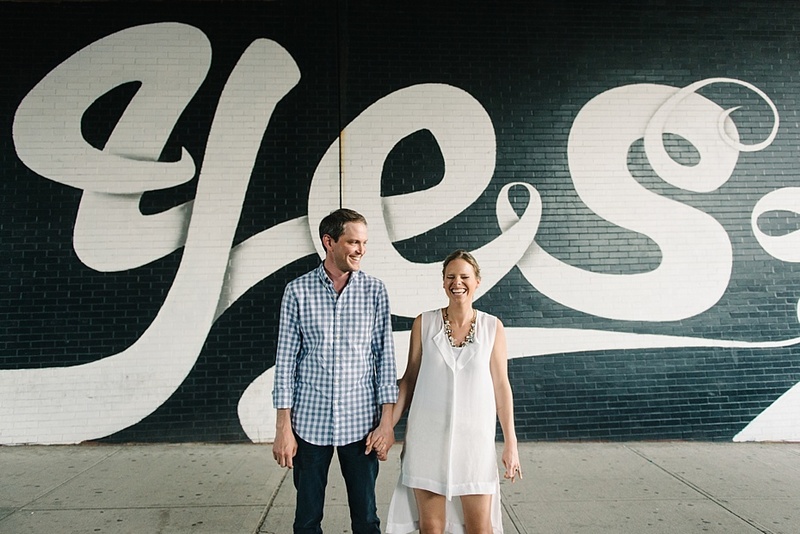 The couple chose Brooklyn Bridge Park as their first look backdrop. One challenge Jake and Taylor faced was figuring out a way to blend their inter-faith marriage. Taylor is Catholic and Jake is Jewish so they decided on incorporating both a Priest and a Rabbi into their ceremony. Taylor spent a few minutes privately with her twin sister and parents at their Upper West Side church on her wedding day. 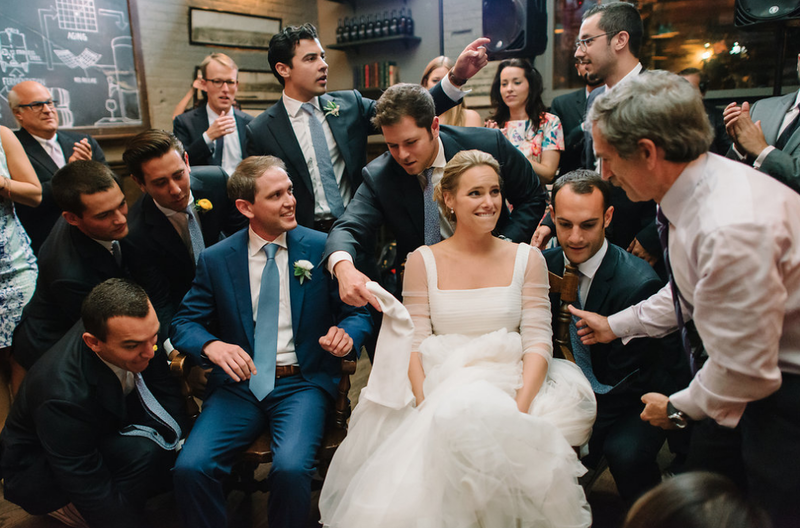 The couple also tasked their groomsmen to put a modern spin on the traditional Jewish 7 Blessings. They asked each groomsman to write a personal blessing for Jake and Taylor as they embark on their life together and had the groomsmen recite each of their blessings during the wedding ceremony. Taylor and Jake’s Florist, Victoria Ahn of Designs by Ahn, used an assortment of orange dahlia and yellow ranunculus as well as Juliet garden roses for her wedding decor. Taylor and Jake’s color palette was vibrant yellow and orange flowers as well as cream, blush and pale pink accents. They had a birch wood chuppah decorated with branches, hydrangea, stock, lisianthus passion vine and orange dahlias. 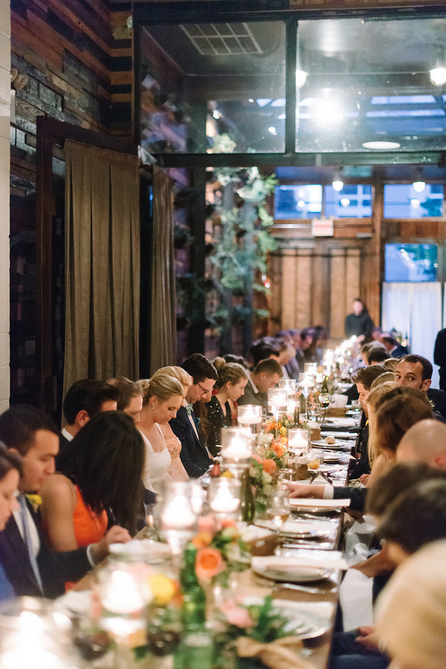 The juxtaposition of the bright floral centerpieces against Brooklyn Winery’s in-house mix-and-match china and servingware made for the perfect table setting. 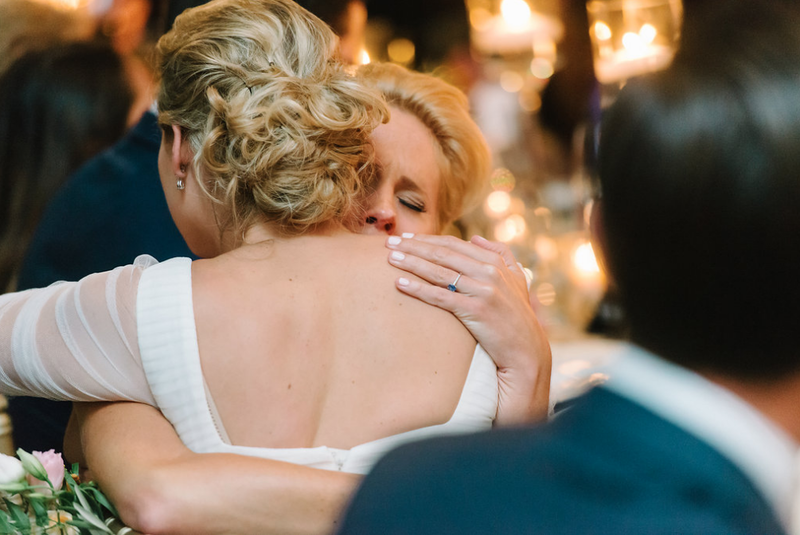 One of the most touching moments of Taylor’s wedding was when her twin sister, Grayson, who also got engaged within the past year, indicated during her speech that she never thought anyone could do a better job of being Taylor’s other half – until she met Jake. Taylor was adamant about not having a wedding cake at all – until Jean George’s head baker offered to bake her a cake as a wedding gift! 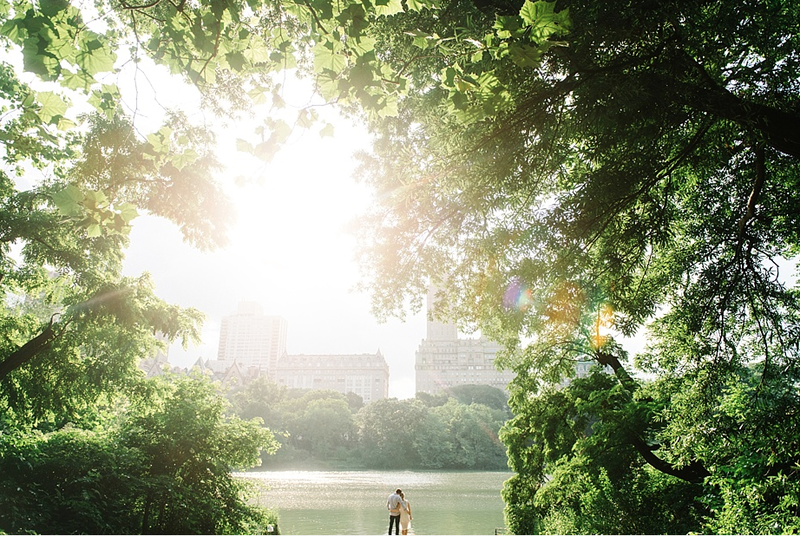 Jake + Taylor’s wedding was truly a day filled with love and celebration. Although the images above captured by M2 Photography are in-cred-i-ble, the love among family and friends can actually be felt in their goosebump-inducing wedding video produced by Tweed Weddings – link below! 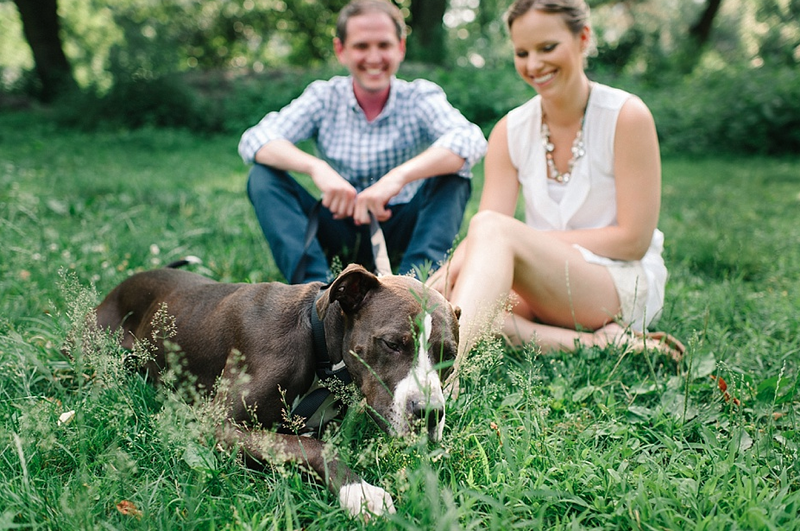 I would like to extend a HUGE thank you to Taylor + Jake’s Amazing Vendors!